If you are looking for brand new fashion for the equestrian, Barbara Biernat looks forward to helping you through your personal shopping experience. Barbara goes to multiple trade shows in Europe and the USA to maintain latest fashions and innovations to stay one step ahead of the general US market for her clients, “Basically, I open the window to pre-booking full seasons ahead of time to source up coming items, select colors, obtain a suitable size range and establish a view of worldwide trends so as not to be hampered by regional fashions/availability”.She has a substantial men’s line and likes to make sure that both genders have a chance to look their best with a variety of designers, styles, fabrics and sizes. “Most vendors and tack stores carry the bare minimum if anything when it comes to men’s riding apparel. That’s where I can help with men and women to find the best fit possible with the client in mind. I am there to help plan ahead and obtain what is available,” she explains. Once Barbara gets to know you she searches for the correct brand and line and takes great pride in making the match. She continues, “If you have a certain preferences, I keep you updated as options open and inform you promptly if previous favorites resurface. I want to find the right fit for you.” Then it arrives at your door. If you want to add that special touch to your upcoming clinic or are just feeling like a particularly decadent day at the barn or home then contact Barbara to see about a trunk show at your location. DeNiro Boots are more tapered at the ankle for a comfortable fit and elegant appearance. Known for quality, attention to detail, impeccable style, extreme comfort and greatly reduced break-in time. DeNiro boots are made near the town of Lecce, in south Italy. 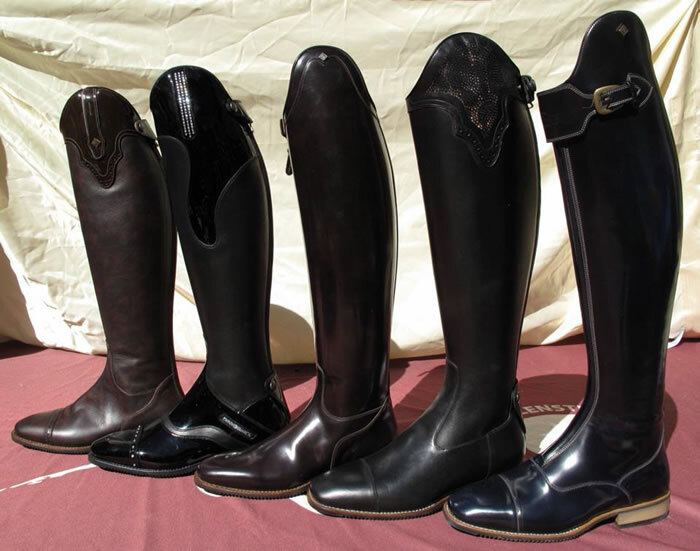 Devotion to Innovation and research has led DeNiroBootCo to set the standard throughout the equestrian world. Available in stock, semi-custom, or full-custom with delivery time of 6 – 8 weeks, Horse and Rider Boutique has DeNiro’s full range of Dressage, jumper, polo and paddock available. 2. Eurostar Color, style and material since 1959... euro-star stands for top quality equestrian clothing with the perfect fit for the perfect look. Right from the beginning, the close contact to horse and rider has been the basis for our product development in the field of equestrian sport. Not only are many of our employees ardent riders themselves, but for many years the experience of prominent riders, the so-called euro-star VIP's, has been incorporated into the development process. Their wishes and ideas play an important role in the success of euro-star products. 3. Alp N Rock Made in the USA, Alp’N’Rock products are made from organic cotton. The label began as ski-resort wear, but has established itself in the equestrian world with a hip fashion line that is practical for riding but stylish enough to go straight out from the barn. 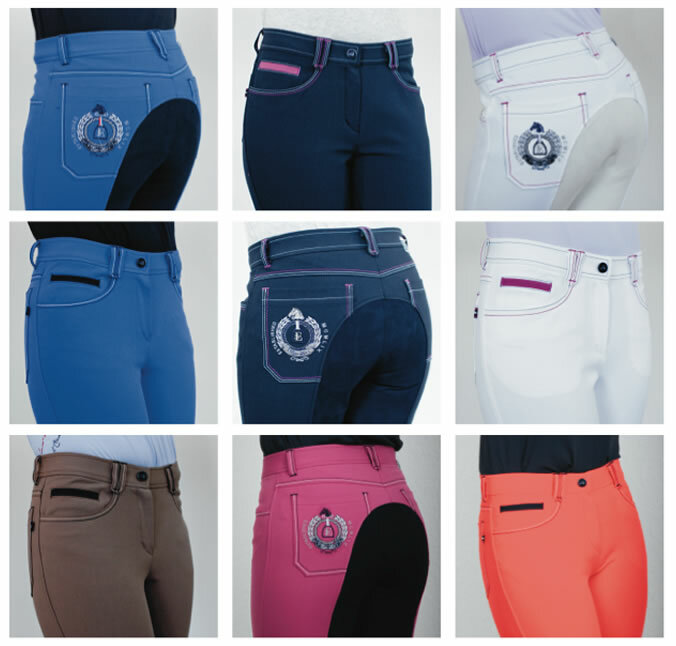 Horse and Rider Boutique always carries a large range of the latest styles and as one of the first equestrian retailers to carry the line has access to the full range and will happily find the items your seeking (both male and female).